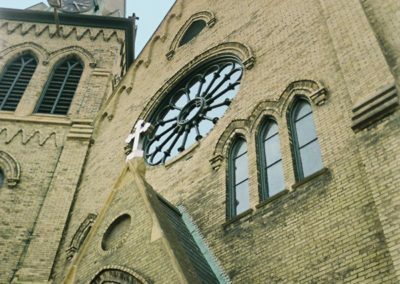 To replace the heavily damaged frame, conserve and restore the stained glass, and install new protective storm glass to ensure the rose window’s continued beauty for generations to come at St. Luke Episcopal Church in Racine, Wisconsin. 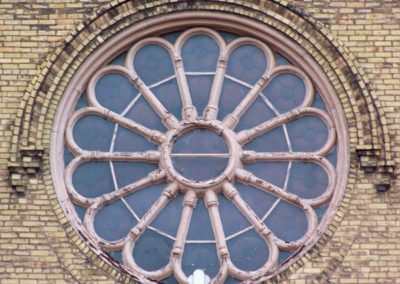 Spots of daylight were piercing the 12-foot diameter rose window that graced the facade of St. Luke’s church. 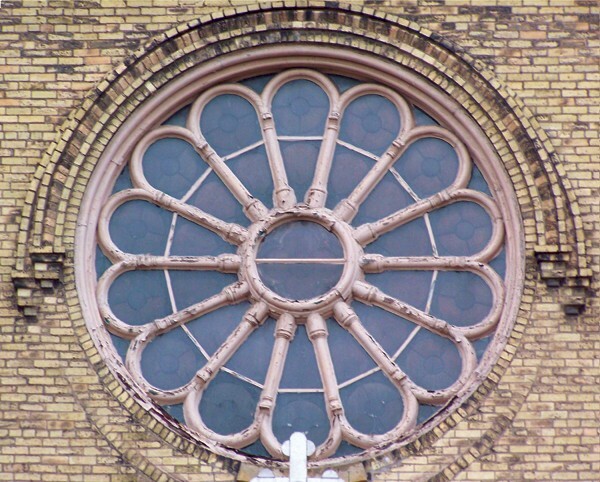 Visual observation from the ground indicated the window required some degree of conservation. Upon closer inspection from a scaffold, it was discovered the window’s 150 year-old frame was damaged beyond repair. 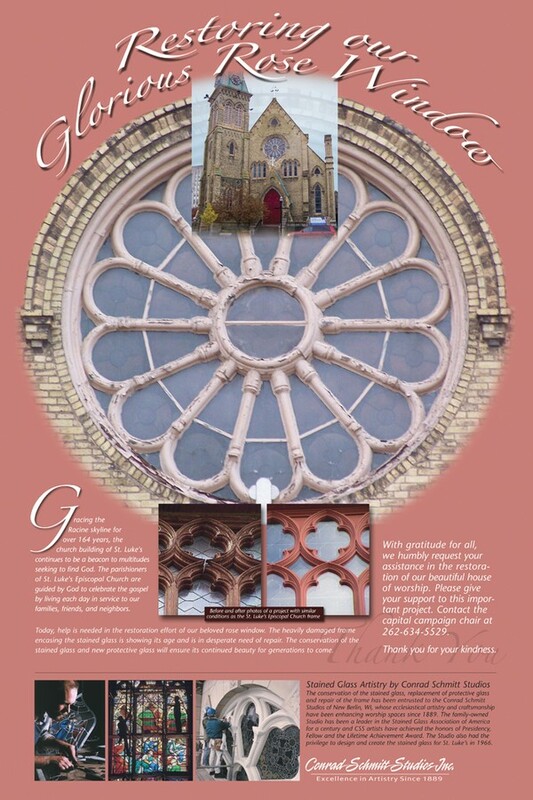 Age and the elements had taken their toll and total frame replacement and major stained glass restoration was needed. 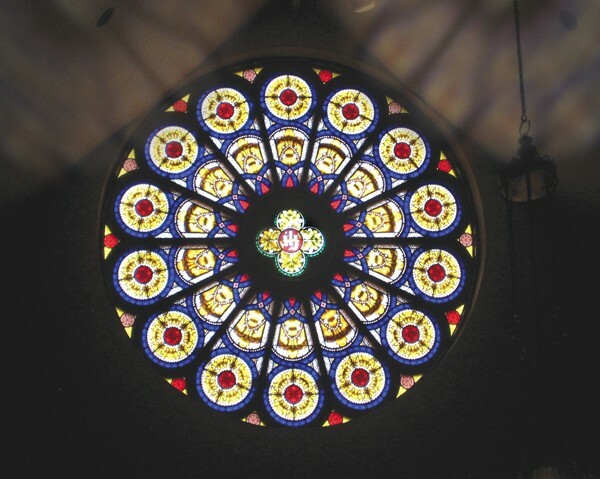 Eighty percent of the silk-screen design in the stained glass was severely faded and numerous pieces were broken. 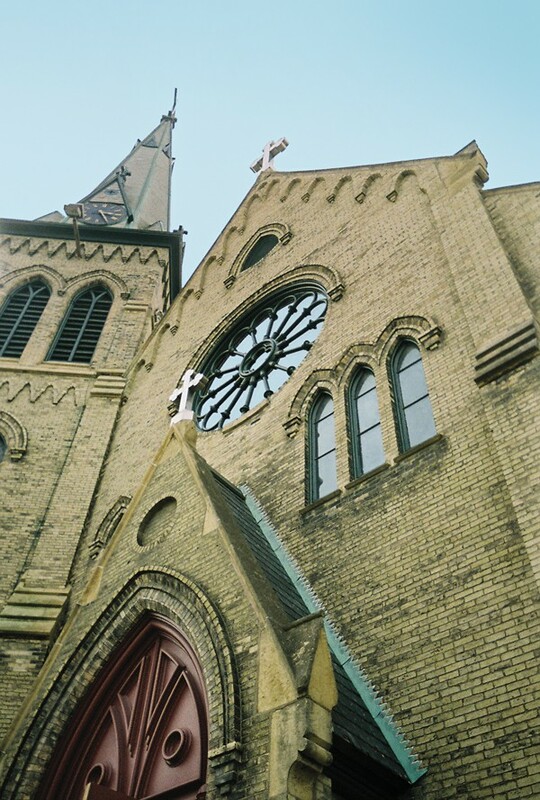 Salvageable pieces of the stained glass were conserved and, where necessary, new pieces were reproduced. The frame was replicated to exact specifications in mahogany, the best wood for exterior installations, and the intricate profile was meticulously reproduced. Clear, safety-laminated storm glass was installed, removing the cloudy diffusing glass and steel bars that divided the delicate petals. 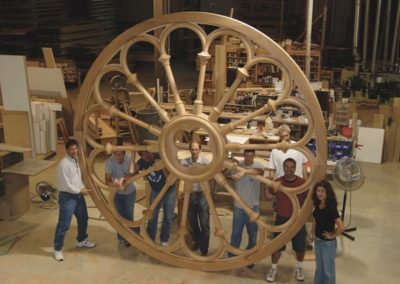 The frame was painted on the exterior to match the existing trim color and stained and varnished to compliment the wood tones in the interior. 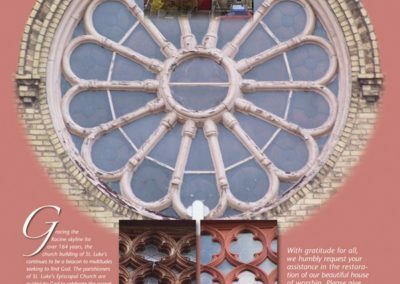 The beautiful rose window, fully restored, once again graces the landmark church and ushers in God’s morning light.